The Joint Admissions and Matriculation Board (JAMB) says it has recorded a decrease in the number of registered candidates for the Unified Tertiary Matriculation Examinations (UTME) in 2018. The Registrar of the Board, Prof. Is-haq Oloyede disclosed this to newsmen on Wednesday in Abuja. 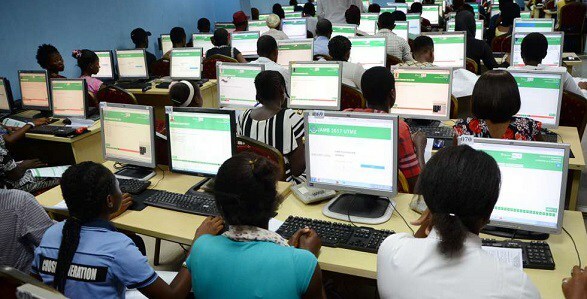 Oloyode said that a total number of 1, 662, 762 candidates registered for the 2018 UTME, within a period of two months, as against a total of 1,718,425 candidates who registered within one month in 2017. He explained that the decrease of 3.2 per cent was largely, as a result of measures put in place by the board to forestall multiple registrations and other unwholesome registration practices by candidates. Oloyede also noted that a total of 367 visually impaired candidates registered for the 2018 examination as against the 201 candidates of 2017. He said that the board will continue to provide all necessary support and logistics to the physically challenged candidates in order to encourage them to attain their pursuit for knowledge. According to the registrar, the board recorded a pleasantly high number of candidates for the 2018 UTME examinations from foreign countries.